Going through all those ceremony music titles to choose amongst them for making a list for your wedding band may appear daunting. But you can heave a sigh of relief, as picking the perfect ceremony music for your big day and making your wedding band a hit amongst your guests is not as difficult as you think. Here are some tips. Preludes: Light music to be played to set the mood while guests start coming and being seated. Prelude music usually starts when the doors open or 45 minutes before but not later than 20 minutes prior to the start of the ceremony. Processionals: Played at the entry of wedding party. A same song can be played upon the entry of family, bride and bridal party, but the idea of playing a different song upon bride’s entry adds a drama and highlights her entry. Recessionals: Played at the exit of wedding party. This is traditionally lively and bright, reflecting your happiness. You can add interludes or music played at significant moments like the ketubah singing or unity candle lighting. You can also include a postlude – music played at the time of exit of guests. Prefer somebody to play a violin or even bagpipes, as guests are heading towards the exit. You may also ask the musicians to take guests out in a parade-like fashion. Prior to interviewing your wedding band musicians, do your homework. There may be strict guidelines with your ceremony venue and officiants about which music can be played at the time of a ceremony, setting restrictions on the noise or the space permitted for a band. Even secular venues may have some guidelines regarding music and you should be aware of them. Even the venue size should be considered against the instruments chosen; e.g. a small chapel and a big brass quintet won’t make a good match, because the sound may overwhelm the small space. If you are conducting an outdoor event, you may not be able to use a traditional piano, but an electric piano can be arranged. If you desperately want a harp to be played on your big day, ensure that it can be practically brought inside your venue, because it’s huge. For an outside wedding, harp may not be a good choice as its sound won’t be as powerful as you want it. Visit www.hireourliveband.co.uk to hire a band for your big day – live music, solo singer bands, function band, tribute act, acoustic art, singing waiter and more from across the UK. 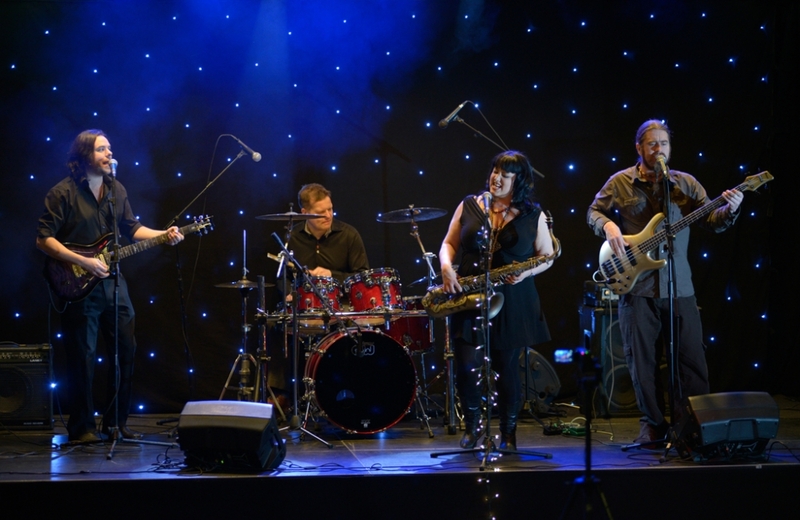 They provide booking access to a huge selection of the local bands and musicians of the UK for hire, from dedicated solo singers and tribute acts to high quality wedding bands and professional function entertainers. So, don’t forget to visit HireOurLiveBand.co.uk when planning to hire a wedding band.